The photo shows Montana at the City Slickers Trail Ride sponsored by the Bad Girls Trail Riding Club. Shawn rode Montana at the annual ride to see how she would do and give her some additional training. 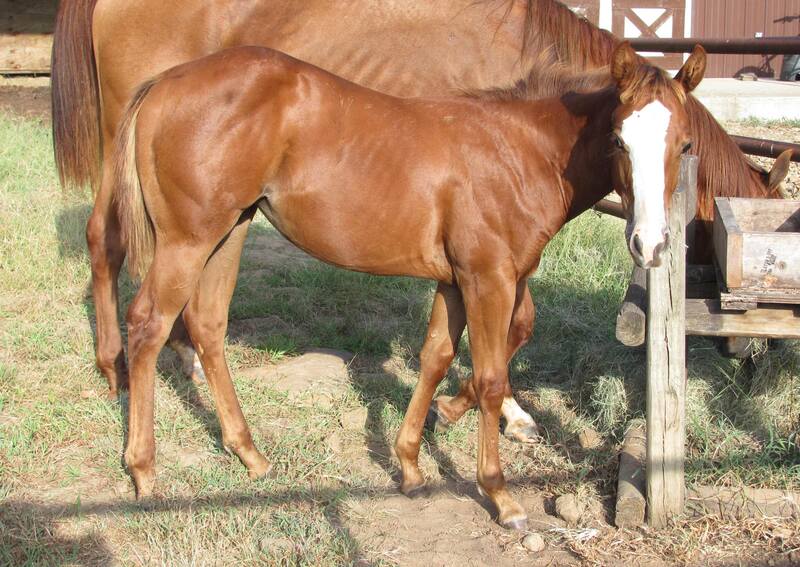 Although this young filly is coming along really well, she still has her moments. 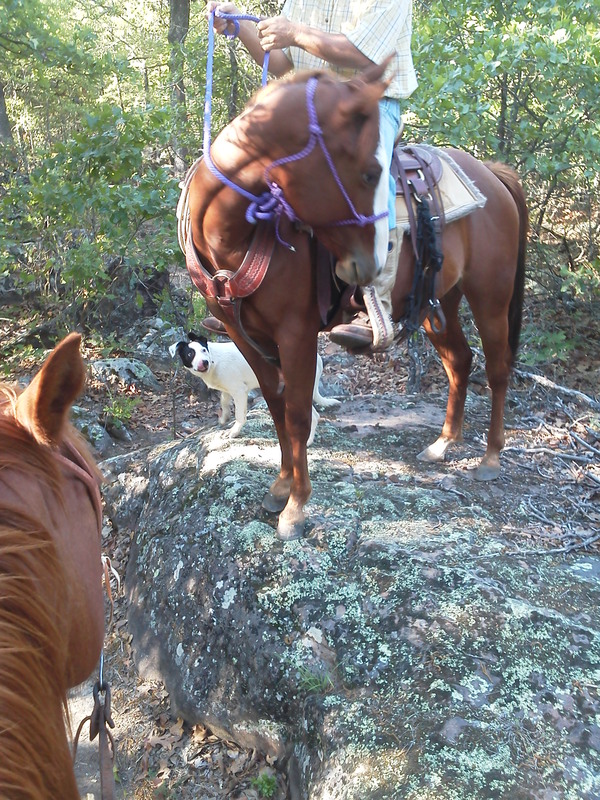 This trail ride in a new environment was good for her and allowed us to see a few areas that still need some work. We put our horses through two years of training to develop them into the quiet, calm horses that can be loaded in the trailer and taken almost anywhere for an enjoyable time. The great thing about being able to take her on a ride with a lot of other horses is that it let us test the training. We found one deficiency as we got ready to leave, Montana just said no, she wasn’t going to load back in the trailer. Just like a kid in a restaurant, she forgot her manners and stood at the back of the trailer pouting and refusing to load. 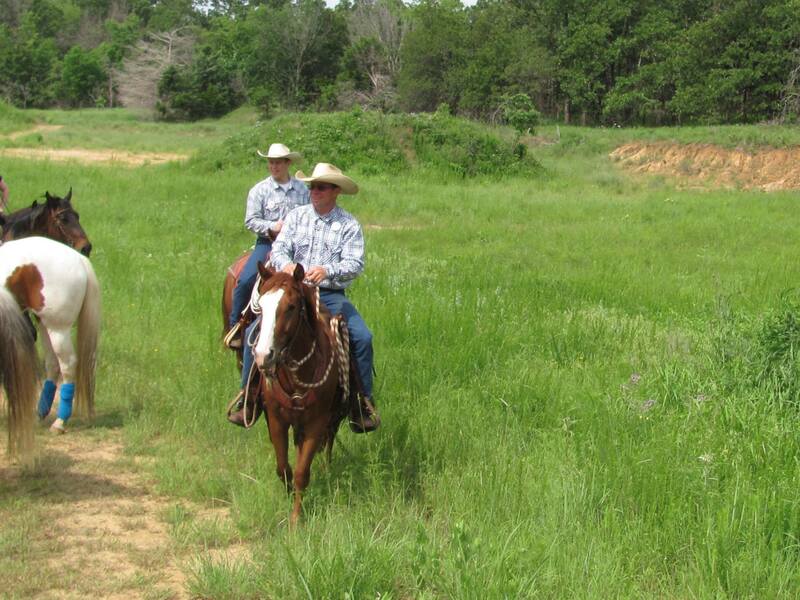 When we got back to the ranch, we took some additional time and practiced loading and unloading for about 30 minutes. Once she finally decided there wasn’t any choice in the matter, she loaded and unloaded without a problem.We will conduct some more practice sessions and tests over the next two weeks to reinforce the lessons. Training horses the right way takes a lot of time, patience, and work. During the schooling, you have to anticipate the horse will try you from time to time, just like a child will check to see if the parent will really make them brush their teeth and do their homework. The City Slickers ride provided the perfect occasion to quiz Montana and convince her it is better to cooperate than argue. If you haven’t tried this ride, keep it in mind for next year. It was fun! Here is a video of Montana taking a tarp training test. She passed with flying colors (okay only one flying color as the tarp is blue ). As the video shows, the tarp is thrown in every direction while with a rider. The purpose is to simulate any number of situations that might happen on the trail including the guy next to you putting on a slicker and the wind blowing it over the head of your horse. Montana is a great little filly that has come along way in a short amount of time. We will be showing you more of her as time permits. She is steady, calm, and dependable. All of the horses in our two-year training program undergo tarp training and get tested. We were especially pleased with this young mare because she hasn’t been in the actual training program all that long. In fairness, we have worked with her from the ground since she was a baby. 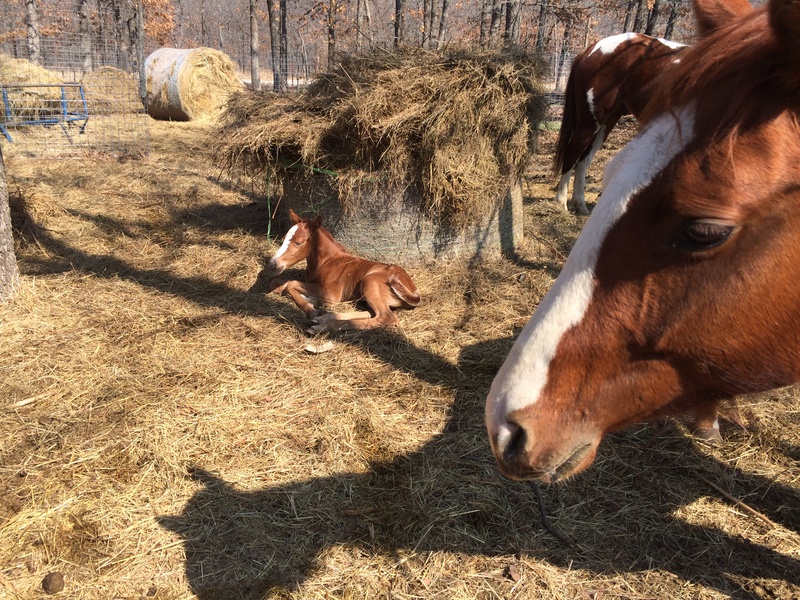 Keep your eye on this one, she is going to make a spectacular trail horse. Montana has been in a slow training program all her life. 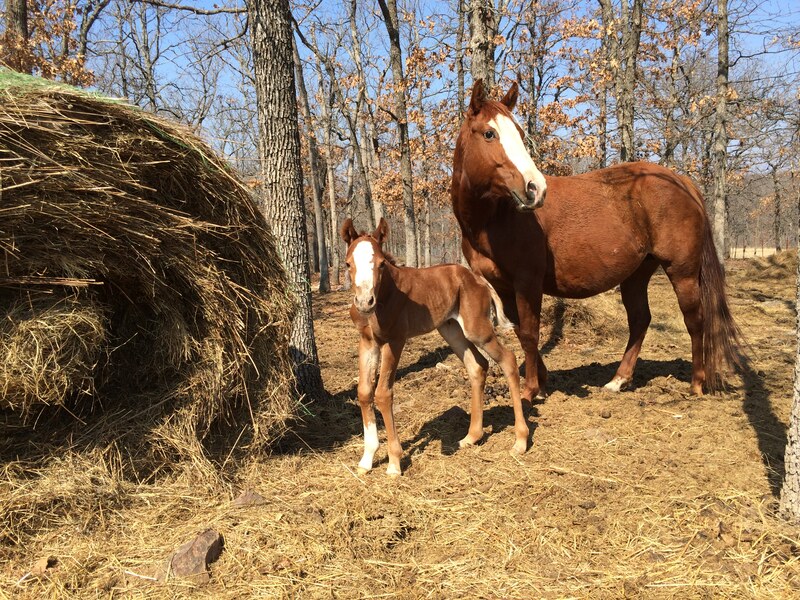 She was started with a halter and learned to lead about two months old. By 3 months she was wearing blankets and occasionally a kid saddle. We used to put flat rocks all over her back while she was eating and threw empty feed sacks under her feet. We wanted calm and were determined to get there. 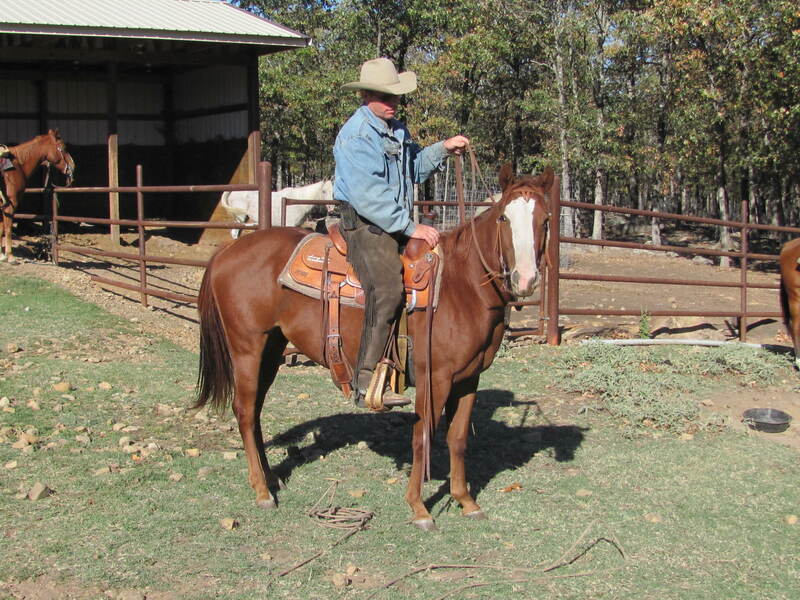 At a little over two years old now, Montana was started under saddle for real. She has never bucked or reared and always at ease during training. The rides are kept fairly slow and short. Usually only a few miles at a walk while she continues to grow. Montana’s blood lines are cowhorse and she will not be real large, probably 14 or 14.1 hands when she stops growing.She is very smart and learns quickly. Most important to our program is her good nature and willingness to readily accept new things without fear or becoming overly excited. We have high hopes for Montana and look forward to seeing her at the end of graduation in two more years. More about her progress as time passes. You are currently browsing the archives for the Meet Montana category.